One evening this week the group peaked a mountain in the Davis Range. There they enjoyed a spectacular desert sunset from a vantage point that few will ever experience. It was another great week at Outback. The Gnowees, Ulurus, and Lorikeets participated in exciting, often challenging journeys through the wilderness and into their own hearts. Physical and mental strength is slowly returning to the Gnowees after an epic all night hike. Two students were in particularly high spirits this week as one was reunited with his parents and the other found out that he would soon be returning home. In celebration of national S’mores day the gauntlet was thrown down to test impulse control with some delicious s’mores cookies. Some Gnowees had the will power to hold out while some gobbled the cookies up in seconds, either way the group was delighted by the unexpected treat. To add to the overall magic of the week a newer staff member was given her trail name, Wandering Sloth, and one student was honored by the whole group in a token ceremony receiving strong cord for his selflessness and positivity. One of the girls had a positive and emotional parent visit this week. She was happily surprised to see her parents getting along better than she has seen them in many years. It gave her much hope to see that while she has been working on herself her parents have also been working on themselves alongside her. One of the Lorikeets took it upon herself to honor one of the other girls with a token. She saw evidences of growth and greatness in one of the girls and talked to staff about building a bora ground. It was a special moment to see leadership and acknowledgement of others in the group while still working on self-growth. The Keets saw the beauty of the desert this week as we walked up on a sleeping baby owl in a juniper tree. We watched as it occasionally slightly opened its tired eyes to see what was staring at it. The girls also befriended a butterfly that they carried along the hike with us for quite a while. The butterfly opened its wings many times to show us its beautiful colors and remained on the plant as the girls carried it along. 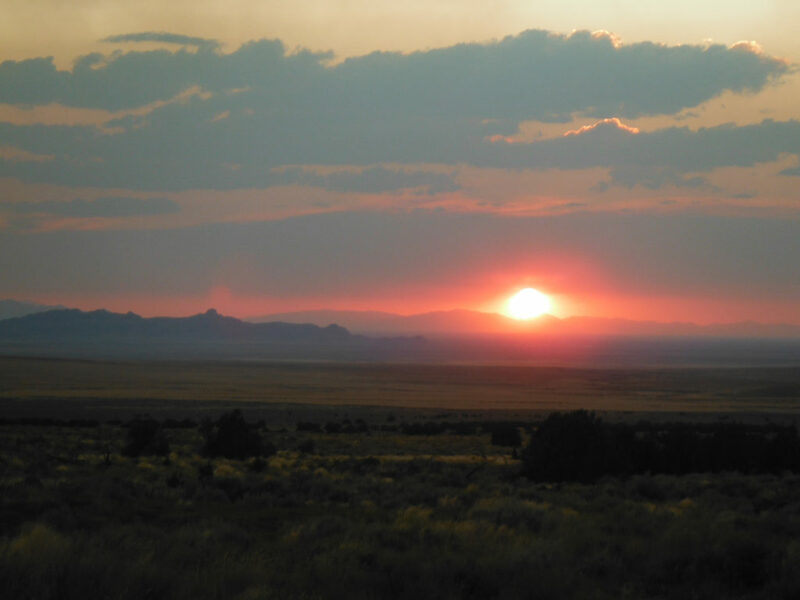 This week the group did an evening peak ascent of one of the mountains in the Davis Range and got to watch a fiery sunset across the west desert and overlooking parts of the local Proving Grounds which they were excited to get a better view of.